Hello and thanks for stopping by! Today, I want to share my card which has been published in the latest issue of Through The Craft Room Door online magazine. Through The Craft Room Door is an electronic magazine packed with articles, tutorials and inspiration all for the paper crafter. Wendy Burns and three brand new, exclusive All Dressed Up images are being featured in the current issue (see below). Several of the design team submissions are also included and one will be featured on the cover! I used Pirate Puppy for my submission and you can find it in Wendy's All Dressed Up Stamps store! 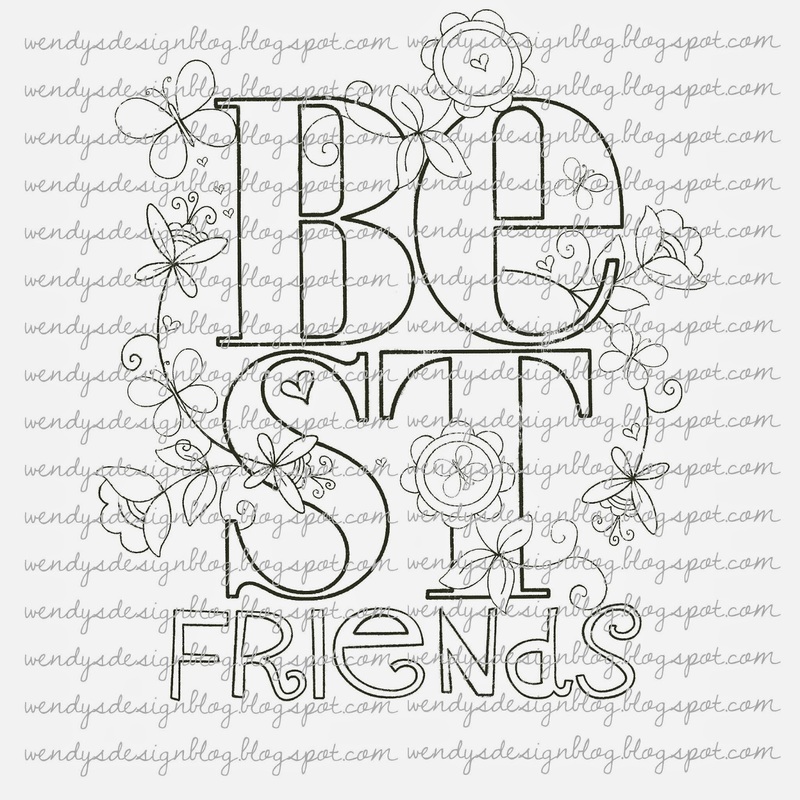 Check out all Wendy's wonderful images there. 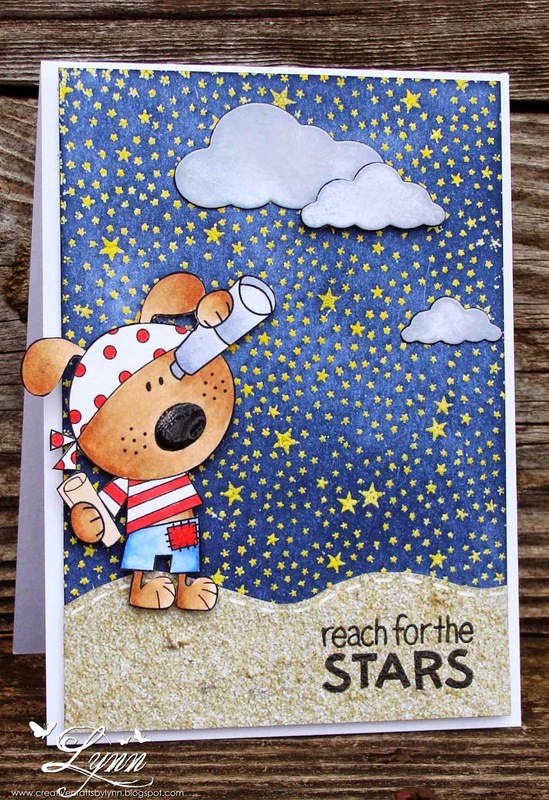 The starry background was completed using a Hero Arts stamp and sponging with some bright blue ink. 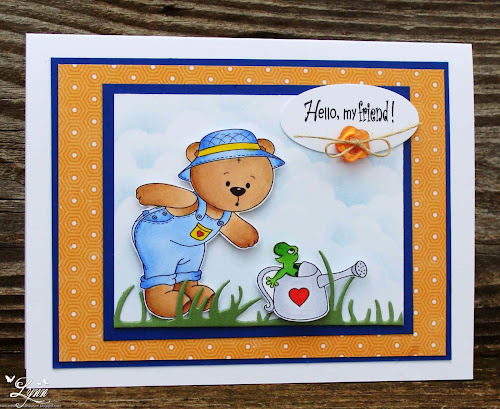 I added the clouds from a MB die and the paper that looks like sand from The Paper Studio. 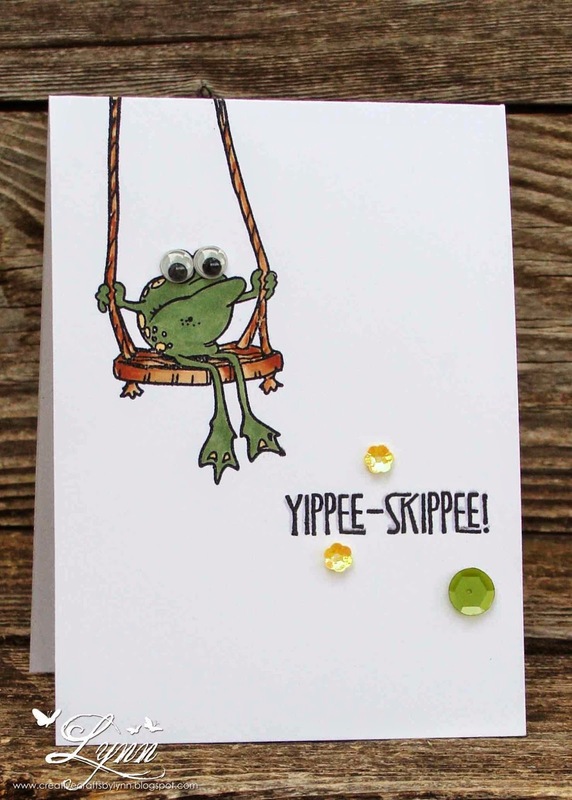 The sentiment is from Lawn Fawn. The little pirate was colored with Copics and then Glossy Accents were added to the telescope lens and his nose. The following three digital images are currently available ONLY by subscribing to Through The Craft Room Door. Your subscription entitles you to 5 issues with an additional holiday issue in the November/December issue for $18.00/year. You will have access to all the previous issues, over 100 free digi's, tutorials, inspiration, prizes and articles! Thanks for stopping by and be sure and check out Through the Craft Room Door and also the All Dressed Up Shop. I know I said I wouldn't be back until tomorrow and Sunday with my special posts......however, we also have another very special post today! Deedee's Digis has a new store! You can find it at http://shop.deedeesdigis.com or by clicking on the Shop button on Deedee's Digis. To celebrate the Grand Opening, Deedee is offering two very special gifts! The first on is a FREEBIE! It's a cute as can be too. The second is a whopping 50% off any order through the month of June with the coupon code! Check out Deedee's Digis for all the information regarding the new store opening and also for the coupon code! Getting wild with hair color, that is! We're starting another challenge at Tuesday Throwdown today and our theme is Wild Colored Hair. Let your imagination run wild with this one and have fun. We're sponsored by The Paper Shelter who provided the images for the DT to use. Be sure and stop by the Tuesday Throwdown blog and see all the inspiration from the DT and enter our challenge for a chance to win a prize package from The Paper Shelter. Believe it or not, this little angels hair matches the blue/aqua color in the patterned paper I used. She was colored with Copics and then some Frantage added before framing her in the circle. 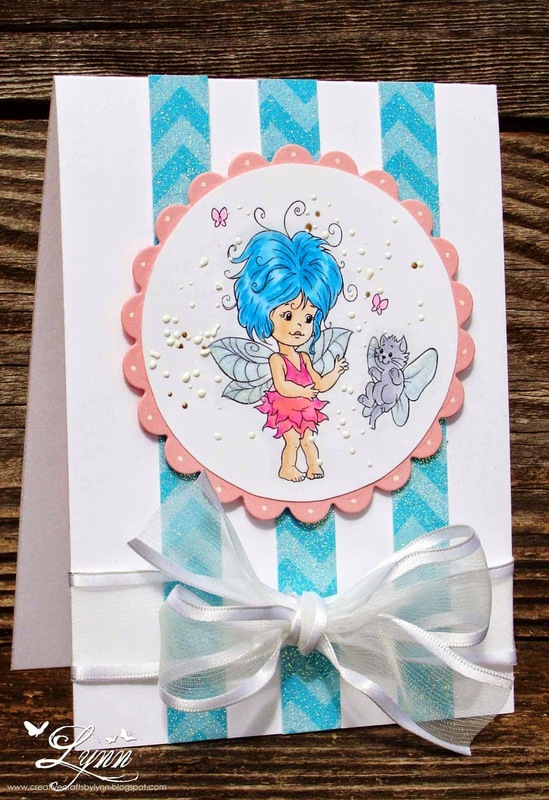 The blue/aqua patterned paper is from a Simon Says Stamp kit and is literally covered in glitter. Of course, I'm ALSO covered in glitter from using it - and so is Rambo, the cat, and just about everything else in the house! 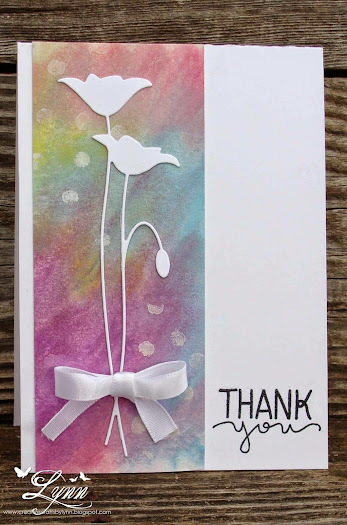 Thanks for stopping by.......and check out the Tuesday Throwdown challenge! I would love to say this is a one layer WONDER......however, going to just have to say it's a one layer something because when I finished I WONDERED what I was thinking! Yes, it's a one layer card. I don't like doing those, I'm not good at those, I end up using a ream of card stock, and don't really want to have anything to do with them. So, why did I make it?? No clue! 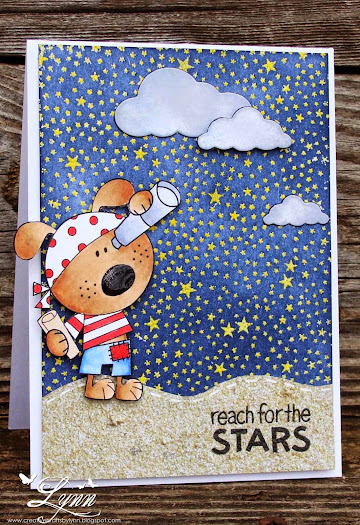 Another card to enter into the challenge over at AAA Cards for their Inspire challenge - to inspire and CASE a wonderful card from Linda Beesom. I took a piece of watercolor paper and smooched it over some different colors of distress ink. After that dried I used some embossing paste and a TH stencil. The Happy Birthday is from Simon Says Stamp and I cut this die about 4 times and stacked them for dimension. The flower.....one of those little wooden pieces that I've had in my stash forever and a day that I painted with acrylic white and then added the pink enamel dot. Clean and simple and fun to do. 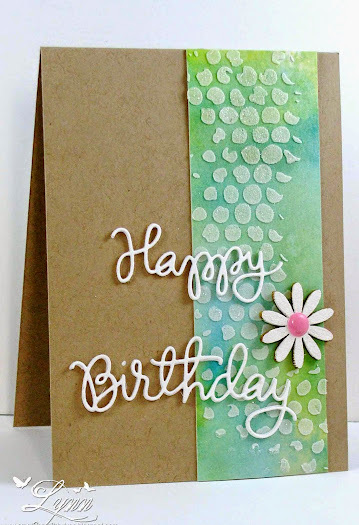 As I said I'll enter this in the challenge at AAA Cards but will also enter it in the Shopping Our Stash challenge (birthday) who is celebrating their 3rd birthday this week. 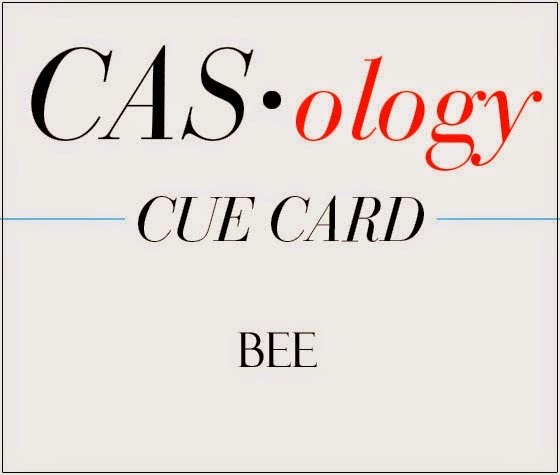 Not a lot of white space here but it was still a CAS card. I just couldn't help myself and had to use not only the cute image from Deedee's Digi's but also the fun paper that comes along with it! Look at all those yummy looking veggies! This little image is called Bigelow's Bounty and you can find it in Deedee's shop HERE along with so many other cute images. The images in this set come colored (like this one) or line with sentiments and those delightful papers too. And speaking on gardening.......Yikes! Ours is getting ready to hit big time and then you just may see me disappear for a while. I can a lot of things and it's very time consuming. I'm hoping it all doesn't get ripe at once but you just never know. Between picking squash, canning tomatoes and making pickles, etc........I stay busy. Keeps me out of trouble anyway though! Well, at least a little bit. Since I had all the paper printed out I thought I'd throw in a tag that I made too. VERY simple but thought it'd be cute to tie on a jar of tomatoes. I'm just not very good at making all those pretty tags you see on someones blog but at least I tried. When you get a chance, check out Deedee's Digis for all the great images there. We also have a progressive challenge and it's going on right now so if you don't already have the Digi of the Month, grab it for a special price and enter our challenge. Then next month you'll receive a brand new free digi! Head over to the blog to see all the rules for the challenge. Today is my inspiration post for All Dressed Up using one of the new images you can find in the store. Be sure and check out the All Dressed Up challenge blog for the current challenge going on and to see all the inspiration from the DT. Also take a peek at the Etsy shop and see all the new - and old images. You'll love each and every one of them! I used To Have and To Hold and think this would make either a perfect wedding or anniversary card. I kept the coloring to a bare minimum and even though you probably can't see it, went over her entire gown in the Wink of Stella pen. 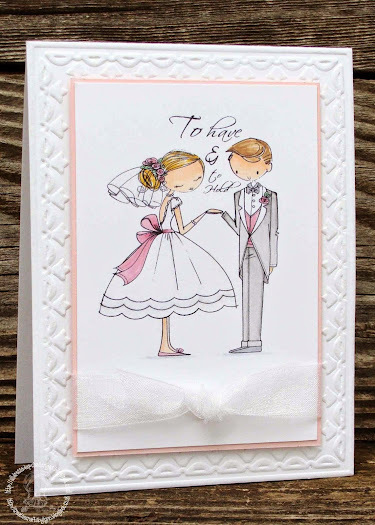 The embossing was completed with a SU embossing folder. The organza ribbon 'tied the knot'. Thanks for stopping by and head on over to All Dressed Up! This may have taken longer to take the photo than it did to make the card - but thought I'd wave hi to everyone this morning! 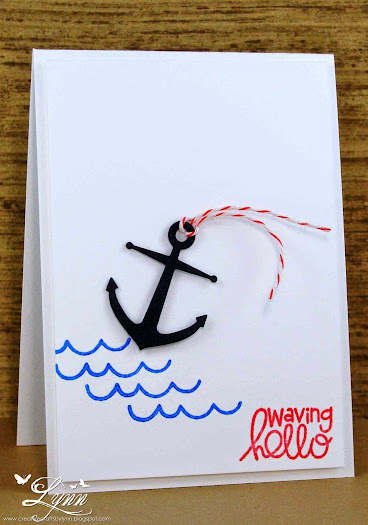 I used the Wicked Nautical stamp set from Paper Smooches and the anchor is from Memory Box since I don't have the die for it from Paper Smooches (yet)! The sentiment and waves were stamped with some Momento Luxe and then clear embossed. 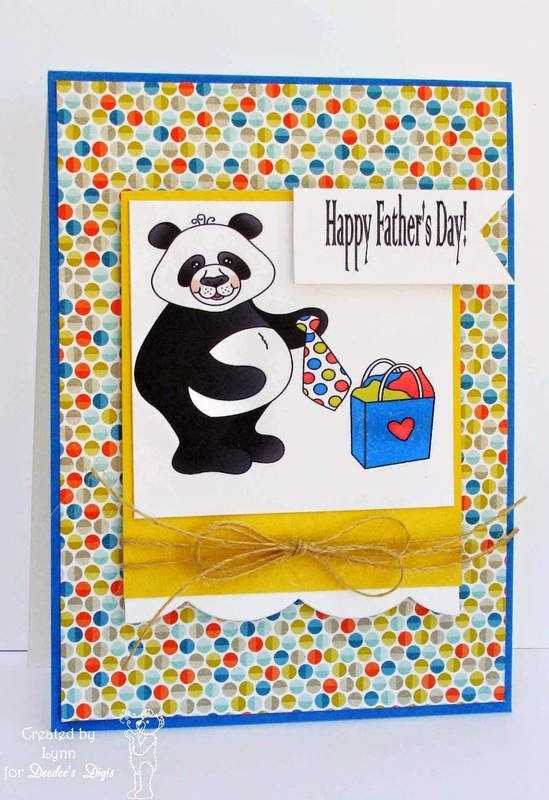 Um.....what more can I say except I guess I just made another one of the famous git 'er done cards! Anyway........waving hi to everyone and I'll be back tomorrow! It's time again for another challenge at Digi Haven and our theme this go-round is Spring. We're being sponsored by Beccy's Place who also provided the images for us to use. 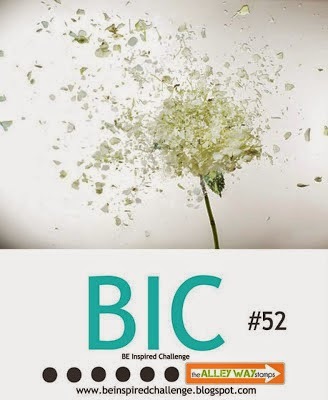 Be sure and check out our challenge and enter for your chance to win a wonderful prize package from Beccy's Place. Um......I'm not sure about the seasons down this way. We seem to have gone from winter straight to summer and now back to spring! It's getting a little confusing and you don't know whether to put or shorts or sweats right now. I used an image from Beccy's Place and colored it with Prisma Pencils - no gamsol, mineral spirits or anything else. It actually blended pretty good I think. The sentiment is from MFP. I used a SU embossing folder in the background and then added that bright green ribbon to match the leaves. Thanks for stopping by.........and be sure and check out Digi Haven and enter our challenge. 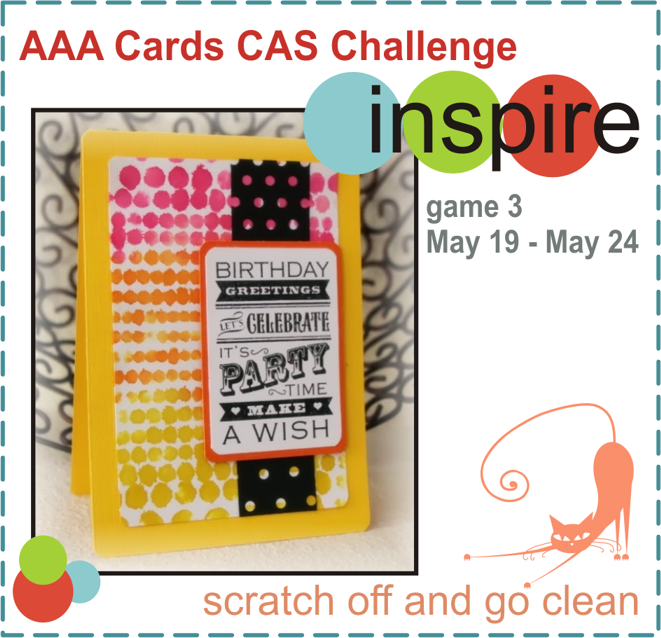 I just found a great challenge called AAA Cards and thought I'd play around this week with their sketch and see what I could come up with. I used a die from Memory Box for the trellis and then cut some of that wonderful burlap with paper backing that Connie sent to me. It's so nice because you can die cut it and don't have a bit of raveling. If anyone knows where you can get that stuff, let me know because it's just great for adding to cards. I cut the frame with a SB die and then used yet another die from SU for the daisy/sunflower. 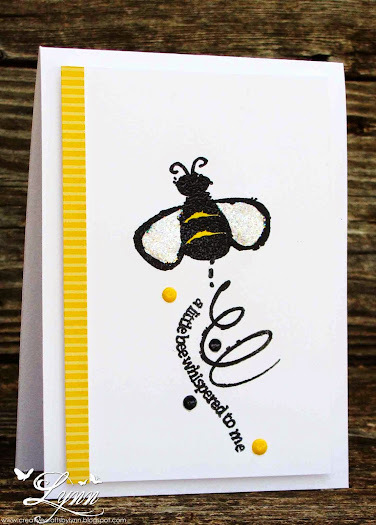 The sentiment from Hero Arts was stamped in Versafine Brown and then heat embossed with clear embossing powder. I only used the sketch and not the colors on this one. I'm so bad at color challenges and it's like a have a mental block against them! Next time I will try though........hopefully. We're starting another challenge over at Tuesday Throwdown and would love for you to join in. 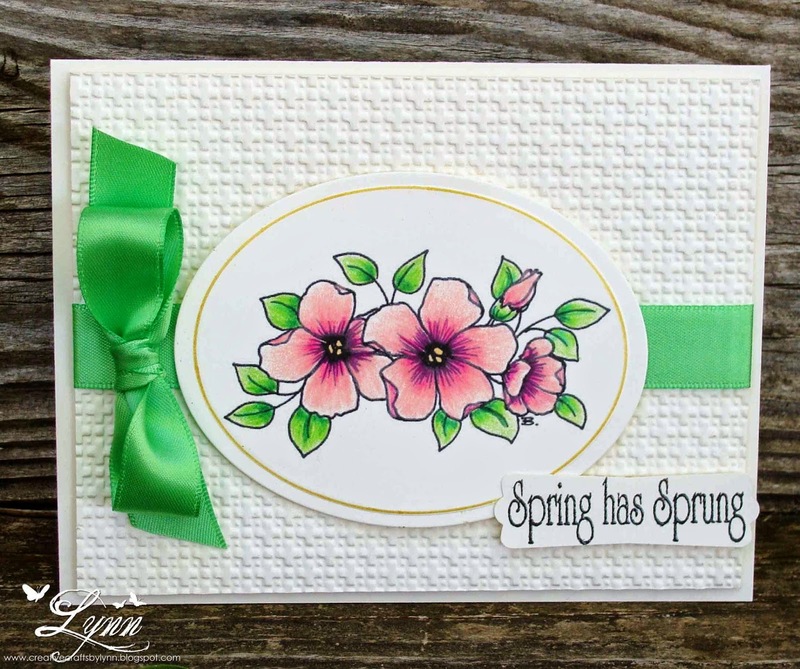 Our theme this time is Spring Blossoms. 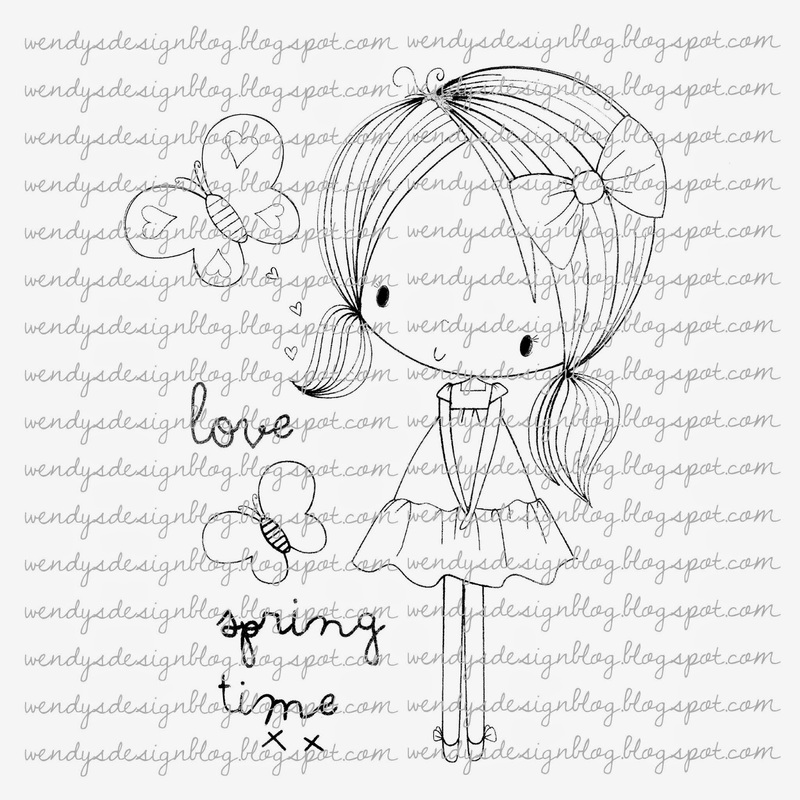 We're being sponsored by Sweet n Sassy Stamps who provided the images for the DT to use. 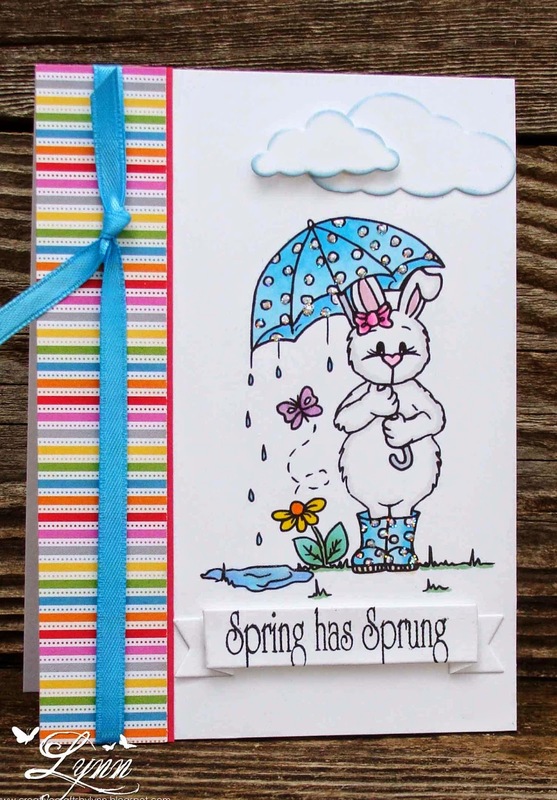 Be sure and check out our blog to see all the inspiration from the DT and enter for your chance to win a wonderful prize package from Sweet n Sassy Stamps. I decided to use Rainy Day Bethany on my card in hopes it just may bring a drop of rain or two down this way! I die cut some clouds and used a piece of scrap paper from a Simon Says Stamp kit, and then added the sentiment and ribbon. The image was colored in Copics. Spring has actually sprung......and gone now - and I'm afraid we're in for a long summer. Just bring on the rain now! 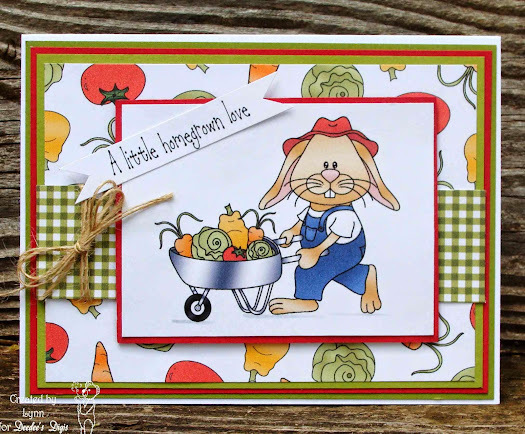 Thanks for stopping by and head on over to Tuesday Throwdown challenge. 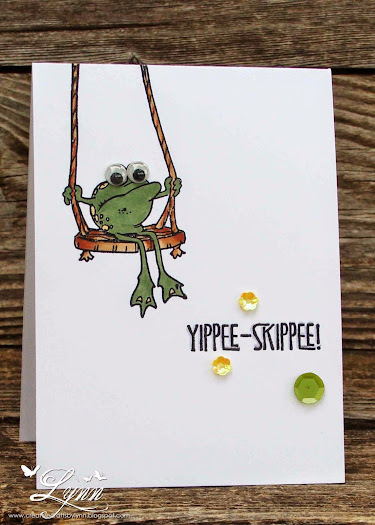 I know that today is Mother's Day here in the U.S. but thought I'd show you the card that Rambo will be giving Jim for Father's Day next month. 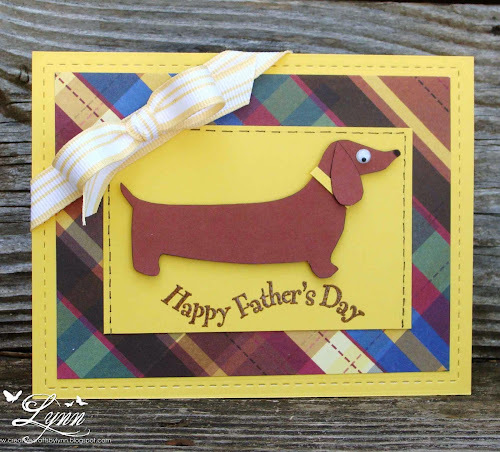 Jill, over at Ribbon Challenge recently had posted a card using this adorable little doxie template. 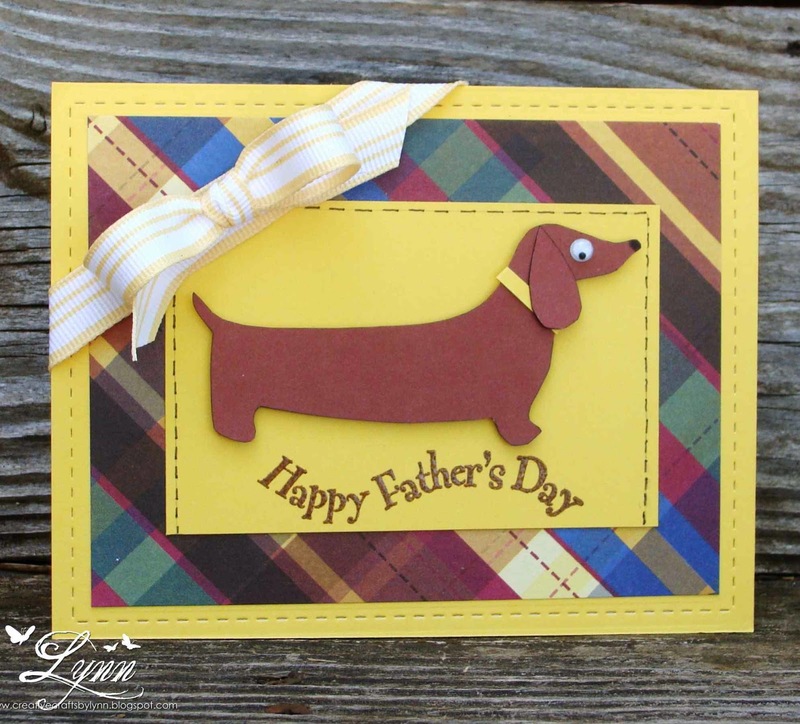 She always makes the most beautiful cards and after seeing hers, I made the comment that I'd love to know where she got that doxie. The next day Jill sent me a copy of the template! Then her husband Jim, who also has a wonderful blog called Love the Details, sent it again in a different format! Double the fun!! Thank y'all again so very much! It's a super simple card and not even half as cute as Jill's, but Rambo will be giving it to Jim next month for Father's Day. Jim's favorite color is yellow so that's why you see all that yellow on here! Pretty bright but know he'll like it. I did say animal (S) - so you also get to see a picture of Sassy - our worthless cat! I call her that because if a mouse ran out in front of her she'd just yawn and go back to sleep. She really is a sweet cat - but yep, worthless! LOL! This is probably the height of laziness! G's as in Gelatos, that is. Now y'all know me and know that I don't ever do strange things in my card making much, but I've really been breaking out of the shell (just a tiny bit) and trying some different products. The latest being Gelatos. I was scouting out Michael's the other day and they had this little pack of Gelatos on sale. They looked so lonesome all my themselves just waiting for someone to take them off the shelf......so......I decided to adopt them (that sounds so much better than buying them doesn't it)! After a couple of weeks of them staring me in the face I finally decided to check out some videos and see what in the world I could do with them. This first one was pretty much a CASE of a card I saw on Pinterest. Still not sure about the die cut greenery on here but it is what it is. 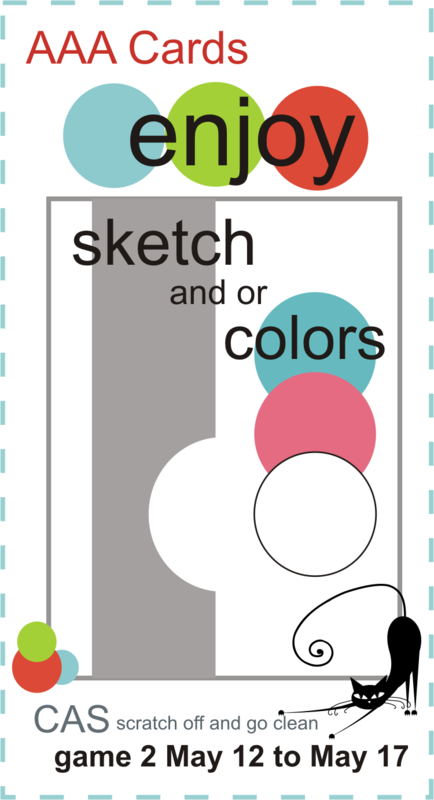 I used a die on this one too and after messing all those colors together I added some white dots with the eraser end of a pencil using white pigment ink. It was fun trying something new but doubt if you'll be seeing me use these on all my cards now. Just something different. I was recently the blog subscriber winner over at Imagine Crafts blog and won three bottles of a wonderful product called irRESISTible Pico Embelllisher! Whoa! What a wonderful surprise when I was sent a bottle of New Sprout (green), Desert Sand (brown), and Danube Blue. After checking on how to use it at their blog I found that was not only easy, but so much fun to use! It's almost like a glossy accent but in color - and they have so many wonderful colors to choose from. 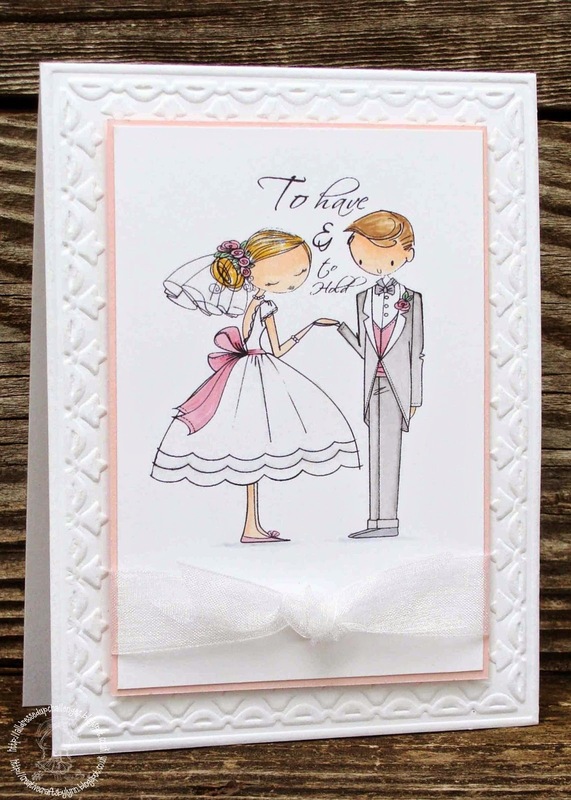 They have a teeny tiny little spout where you can use it just about any place on your card - from full coverage to outlining! 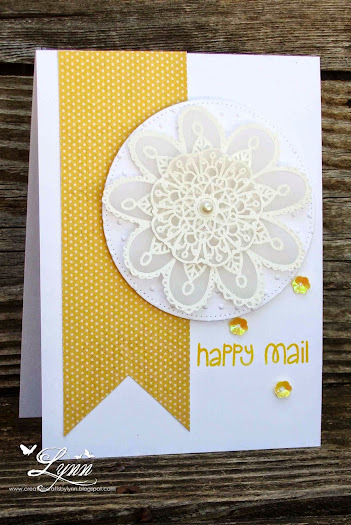 For my card I splatted some yellow and green on the white, popped up a piece of patterned paper that was from a Simon Says Stamp kit, and die cut the leaves from a SU die. 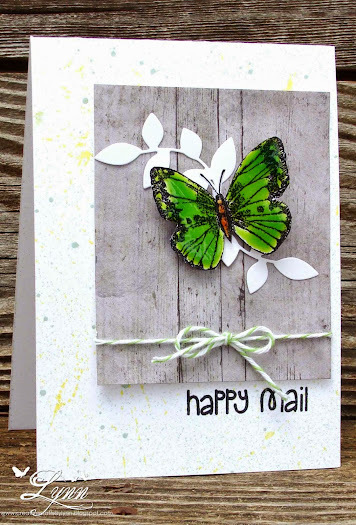 The butterfly (from SU called Flores Suaves) was stamped, cut out, and then that fabulous green Pico Embellisher added. It truly shines! The sentiment is from TAWS. Thanks to all at Imagine Crafts and if you get a chance check out their store, Imagine Crafts (featuring Tsukinedo products) and blog to see some sensational things! For some reason the colors in this are almost blinding!!! Combine that with all the dots and you may feel yourself getting a little dizzy! The blues came out really blue, the yellow looks like a bottle of mustard, and the red resembles the measles! BUT, not to worry because isn't that the cutest little bear ever!!! Love his chubby tummy. This is the featured image over at Deedee's Digis for the progressive challenge! If you didn't play along last month and receive this image free, you can go to the store now and get it for $1.25. 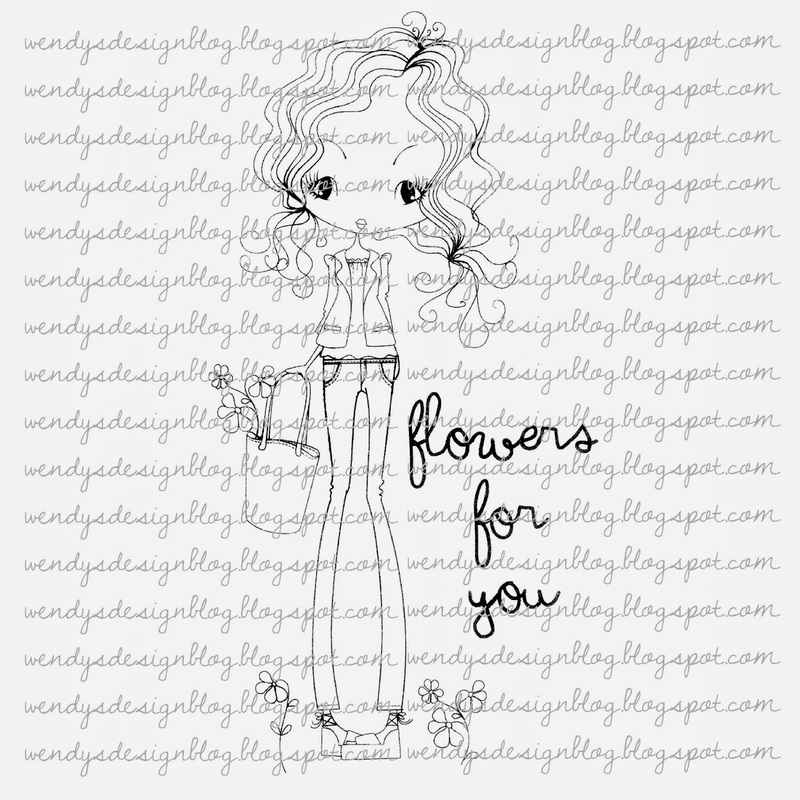 You not only get the image in the line drawing but also the colored version (which I've used here) and a whole bunch of cute sentiments. Use it on a project before the end of the month and next month you'll receive another digi absolutely free of charge! Come on over and play along each month because we'd love to see your creations. Deedee has some of the cutest digis around so take a look around the shop too! 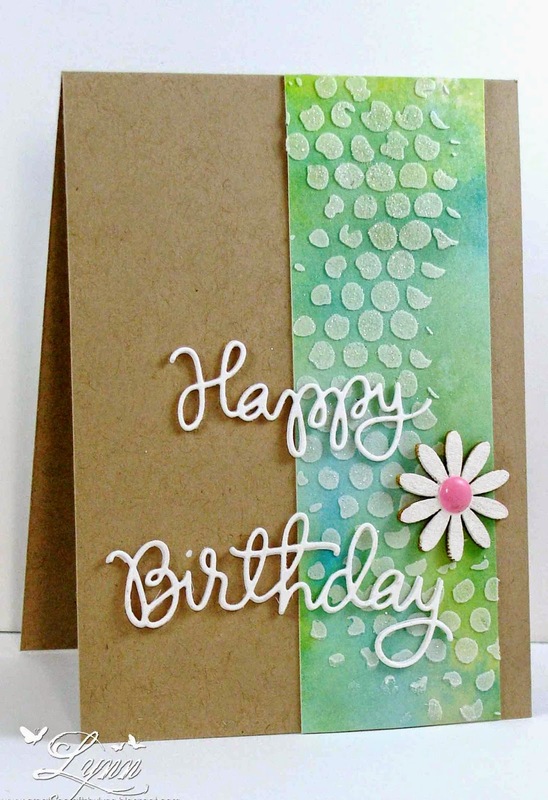 Papers used were SU patterned paper, Pacific Point, and Daffodil Delight. I went over the little bag and some of the dots in the patterned paper with the Wink of Stella pen just to give it a bit of a shine. Not much else to say except it makes into a great Father's Day card. Today starts another challenge over at All Dressed Up! Our theme this time is It's A Guy Thing. It's totally up to you what you create with this..... it doesn't have to be a male card...it could just be "male" colours. Be sure and check out the blog for all the inspiration from the DT. Just remember you MUST use an All Dressed Up image. 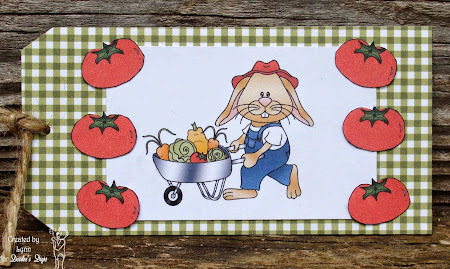 All the images can be found HERE and there's also FREEBIES on the blog. You'll love this image that I used. There are actually 5 little boys in the image but I only used two of them. The image is called We Make A Good Team and you can find it here. I colored them up with Copics, printed the image twice, and then cut out just the soccer ball and popped it up on top of the other one to give it some dimension. The two different pattern papers can also be found in the All Dressed Up shop here. Great masculine looking paper! This is my second post for today. If you're looking for the Digi Haven post, it's directly below. Thanks for stopping by........and be sure and head on over to All Dressed Up! It's time for another challenge at Digi Haven!!! Our theme this time is Bear Hugs - use an image of a bear on your project. Our sponsor is Stamp Art Designs by Kathryne, who also provided the images for the DT to use. Check out our blog and enter for your chance to win a wonderful prize package!! I just love this cute little image and I'd probably have about the same expression on my face if I saw a frog poking his head out of the watering can! They're colored with Copics, cut out, and popped up to sit in the grass die I used. I sponged in some background clouds and then added the sentiment and button. 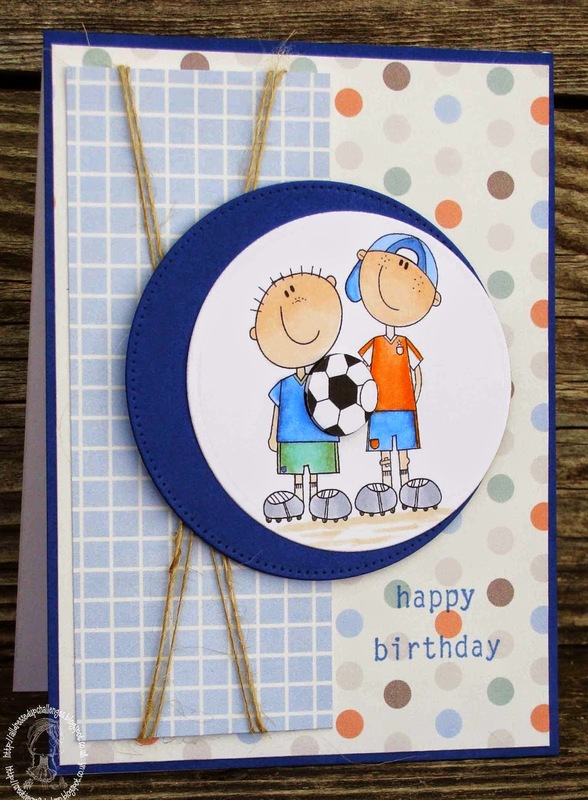 Be sure and stop by our challenge blog and see all the inspiration from the DT and enter your card or project. Thanks for stopping by............and I'll be back later today with another card! 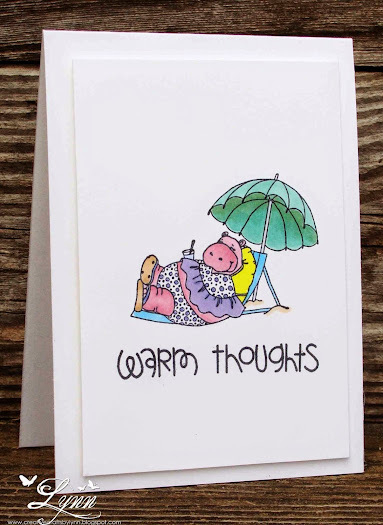 In the meantime, I found this card that I made last month to send to a friend that was still getting snow while we were basking in the heat down here, but just never got it mailed! 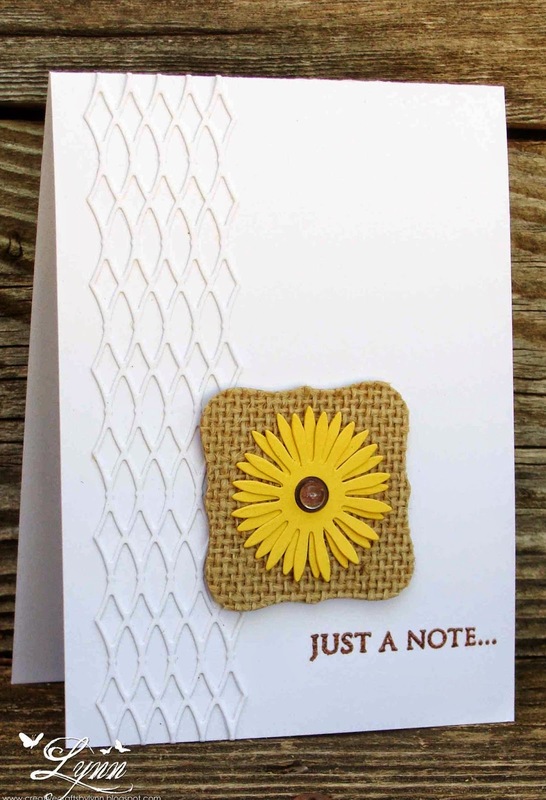 Super duper clean and simple card using a stamp from Great Impressions that I picked up at a craft store going out of business. This little (well, maybe I should say bigger than little) lady was glaring at me just begging to be bought. No one else seemed to want her but she makes me smile every time I look at her.....so into the basket she went! 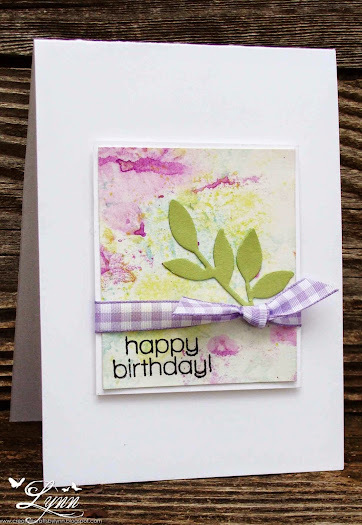 No embellishments at all - just stamping and coloring. And speaking of "warm".......mercy me.....we've had some pretty warm weather around here! (Um....I actually said something just a little bit stronger than 'mercy me' with it being so hot!!! LOL!) It's already been up to 99 degrees a couple of days and summer's not even here yet! Scary thought! Thanks for stopping by........and I'll be back around tomorrow with a couple of cards!